I am a firm believer in positive thought, in regards to just about everything. Feeling sick – No I am NOT. – I feel great! 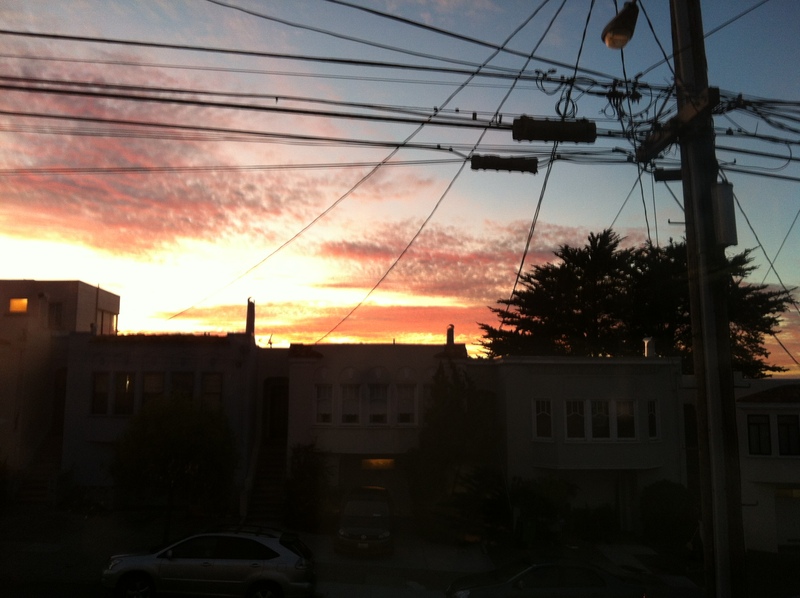 Bus is late and I will be late – Nah, now I just have more time to enjoy being outside. My toes are so cold they are going to fall off! – At least I have toes! ha ha see where I am going with this – I am such a positive person..
but lately I have been struggling. I just want to stay negative and let my anger stew a little… which, lets be real – is not a good thing! The following quote abet a little silly has really been ringing true for me! Think about it – it makes sense right?! 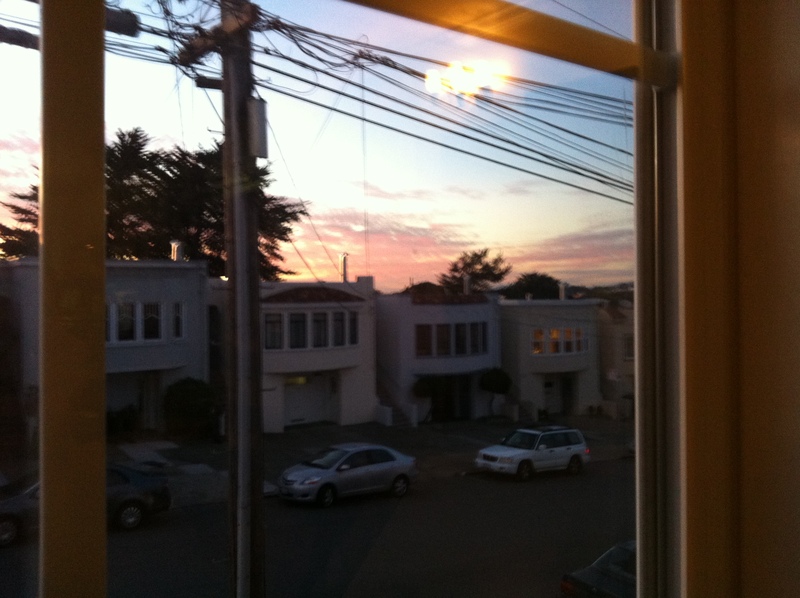 Sweet, beautiful sunset in the sunset. 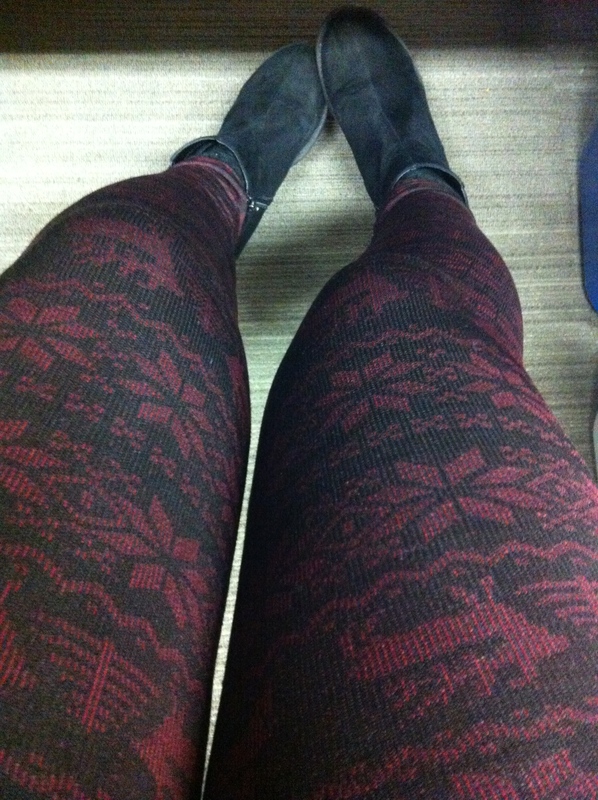 My fun winter printed – fleece lined – leggings at work today! 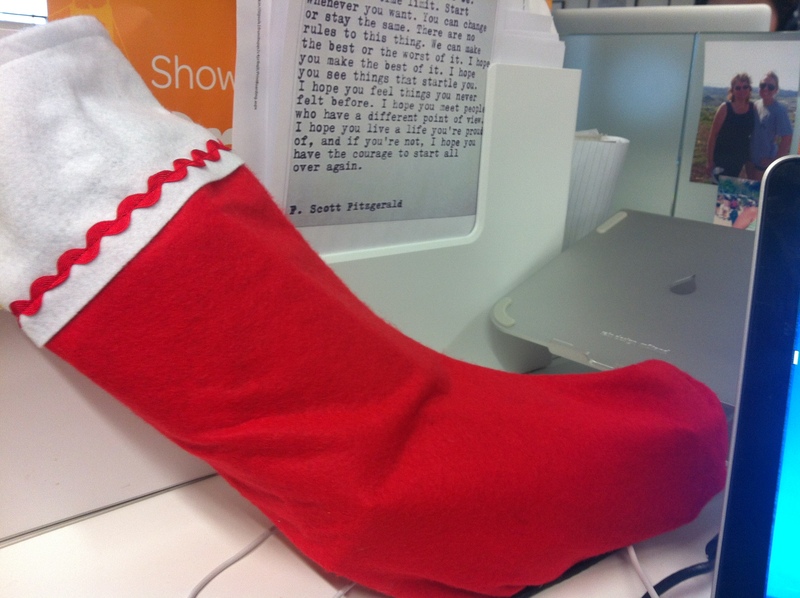 My secret santa stocking filled with lots of yummy treats! Enjoying the small things – trying to stay happy and not get down about anything!